A new policy directive calls to enact criminal proceedings against husbands who refuse to grant a religious bill of divorce to their wives. A Jewish man in Israel who refuses to grant his wife a religious divorce after being ordered to do so by a rabbinical court could face criminal charges and be jailed. A new policy directive issued Monday by Israel’s State Prosecutor Shai Nitzan said that if a husband is convicted of violating the rabbinical court’s order to give his wife a get, or religious divorce, the state prosecutor will ask for a significant prison sentence, Haaretz reported. Actually, the law allowing rabbinic courts to imprison recalcitrant husbands and impose other sanctions such as cancelling credit cards and not allowing the husband to leave the country was passed by the NRP (national religious party) and has been in force for years. The Justice Department has now decided to involve the state prosecutor. In countries other than Israel where the rabbinic courts are part of the government and have legal clout, men who refuse to grant their wives a religious divorce have been shunned socially and refused honors such as being called to the Torah in synagogues in an effort to pressure them to change their minds, but in Israel the law allows for significant punishment. A religious court cannot impose a get according to Jewish law, and a man must give the religious divorce of his own free will. Nitzan said the state will adhere to those conditions by only threatening criminal charges after the rabbinical court has ordered the get and after consulting with the legal advisor to the rabbinical courts, Haaretz reported. The men can still be jailed even if he subsequently agrees to grant the divorce, under the new directive. A woman who is unable to obtain a get is known as a mesorevet get, a woman who is refused a divorce by her husband. Under Jewish law she cannot remarry. The word agunah, chained woman is often used incorrectly instead, although halakhically, agunah refers to a woman whose husband's whereabouts are unknown, such as a soldier who is missing in action. Much effort is expended by rabbinic courts to find ways to allow agunot to marry. When current Deputy Defense Minister Eli ben Dahan was administrator of the rabbinic courts, he sent teams out of the country to search for husbands who had disappeared without granting a get and managed to lower the number significantly. 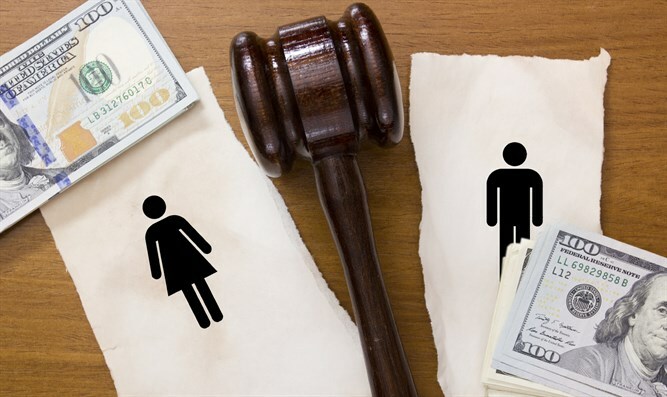 Though officially there are listed 131 women whose husbands have not granted them a religious divorce, groups that provide help for such women say they get thousands of requests for assistance each year, the Times of Israel reported. A woman must accept the get granted by her husband, according to halakha, and some women refuse to do so, so that there are also a significant number of men who are denied freedom from a failed marriage.